TIS has been an authorized IB World School since March 2010. It was the first school in the Pacific Northwest authorized to offer the IB Primary Years Programme (PYP). The IB PYP, offered at over 900 authorized schools worldwide, is a guided inquiry-based teaching method that centers on student questions. Rather than working through a standard lesson and learning facts, students study a central idea by creating and exploring their own questions. 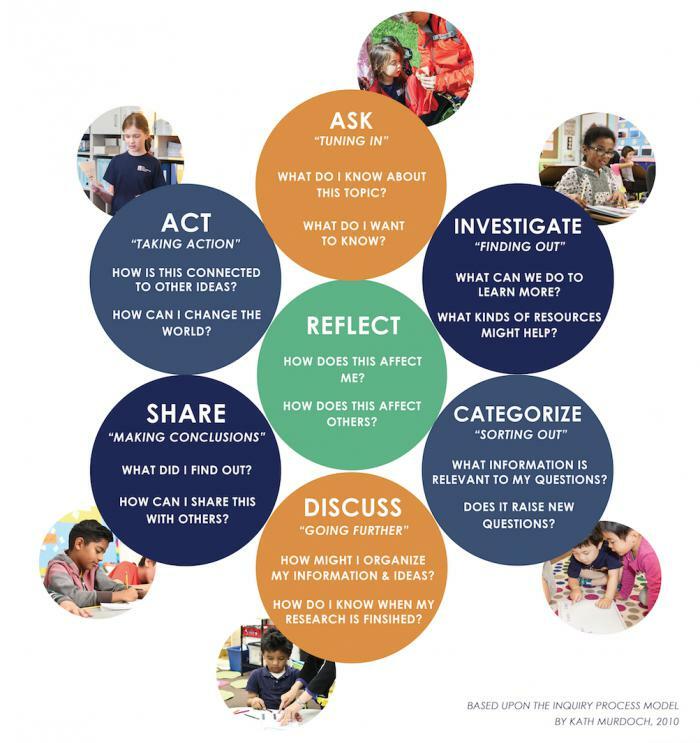 Those student questions start the cycle of inquiry that guides every PYP lesson, as shown in this diagram. Teachers support the student-led inquiry with age-appropriate resources and activities to guide and structure the learning. It’s an approach that works at every grade level to provide challenges for every student.